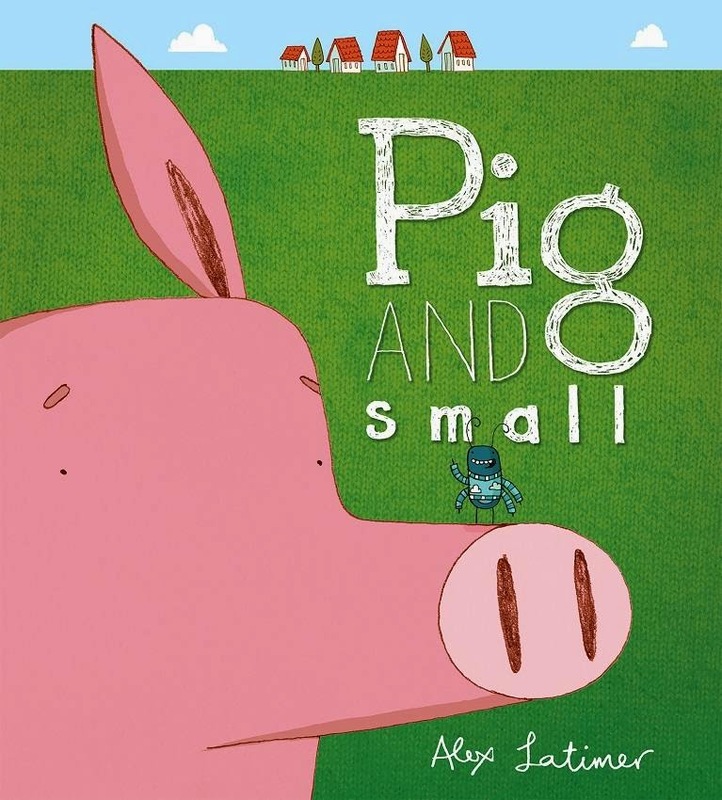 In this laugh-out-loud new picture book from South African writer-illustrator Alex Latimer, we discover that while it's not always easy to be friends with those who are different from us, the result can be worth the extra effort. 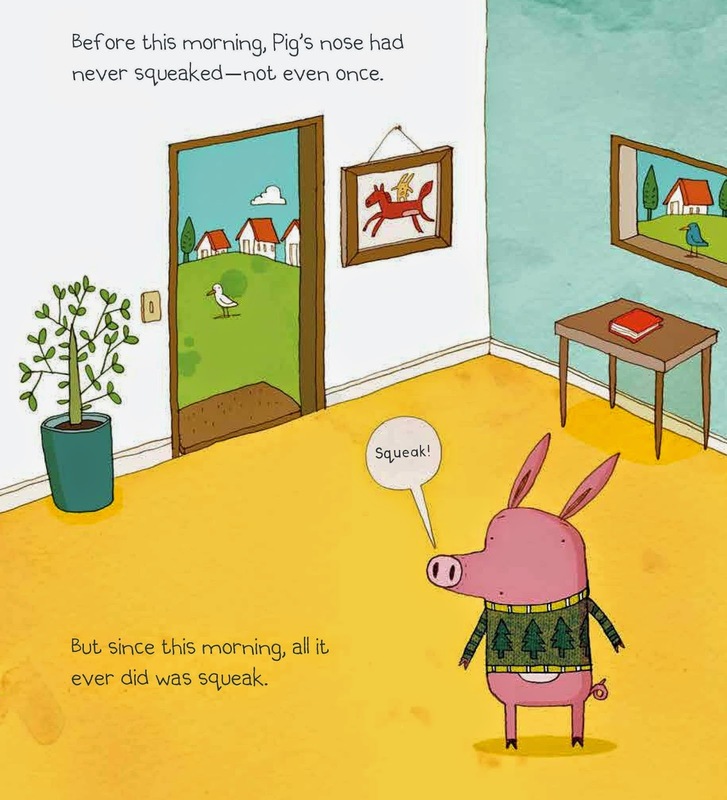 Pig is completely flummoxed when, for no reason at all, his nose begins to squeak. What could it be? Time to get out the medical book, of course, to look for Squeaky Nose Syndrome. But it's not in the book (although the book includes Squeaky Knee Syndrome and others). Finally, after much observation, Pig discovers there's a tiny bug on the end of his nose, waving and squeaking at him. 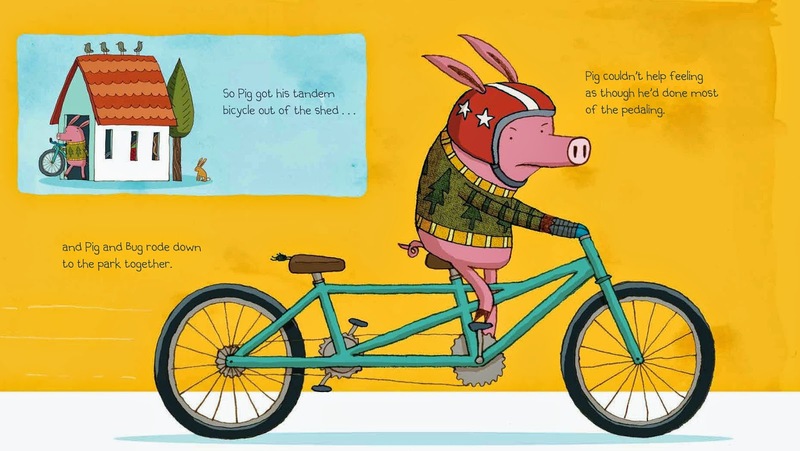 Pig can tell by the bug's friendly squeaking that he wants to be friends, but the activities they try --a tandem bike ride (with Pig pedaling and Bug holding on for dear life), a game of chess, making matching sweaters--don't work very well. They are about to give up, when Pig has a sudden inspiration--a movie! Bug doesn't eat much popcorn, and he can sit right on Pig's ear. Soon they can think of all kinds of things they could do together! They even forget that one of them is big and the other little, until, in a surprise twist, an elephant comes along to ask if he can be friends, too. Alex Latimer's whimsical cartoon-style artwork is distinctive, with speech and thought bubbles taken from traditional cartoons. The illustrations are created first as pencil drawings, then digitized and finished with a bright color palette with orange and turquoise dominating. The colorful artwork meshes perfectly with his witty and engaging text. The theme of the challenges of friendship with someone different is a universal one, perhaps particularly appropriate in Latimer's hometown of Cape Town, South Africa, where the "rainbow nation" of post-apartheid still struggles with issues of equality for all its citizens, as we continue to do in the United States. This book would work well in a preschool or early elementary storytime, and could encourage discussions about how we get along with others. I could easily see a writing prompt about imagining activities Pig, Bug, and elephant could do together, for example. Latimer's earlier work, Lion vs. Rabbit (Peachtree, 2013), in which a clever trickster rabbit outwits a lion, is also a terrific storytime selection. To enter to win a copy of this wonderful new book, leave your e-mail in a comment below. Winner will be drawn on 9/30/14. This looks like such a cute book I would love to win this for my son. Looks like a great friendship book for my students. 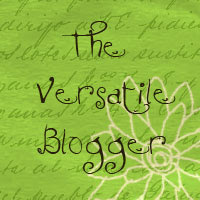 Thanks you for the review and the opportunity! OH how cute that cover looks! Do not hesitate even one percent before giving a final call.